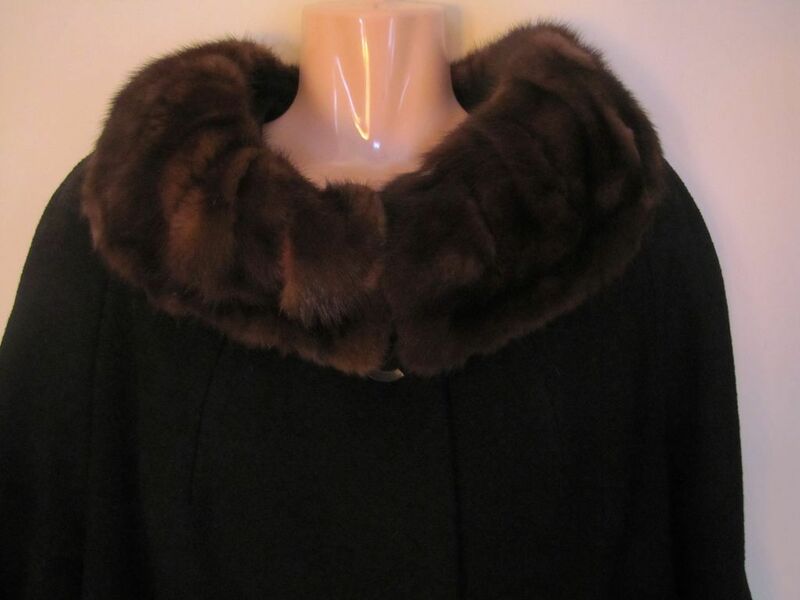 Absolutely stunning, vintage, black wool coat with a fur collar from The Blum Store Philadelphia - Bala-Cynwyd. I believe this coat dates to 1950's-60's era - very much Madmen retro style. 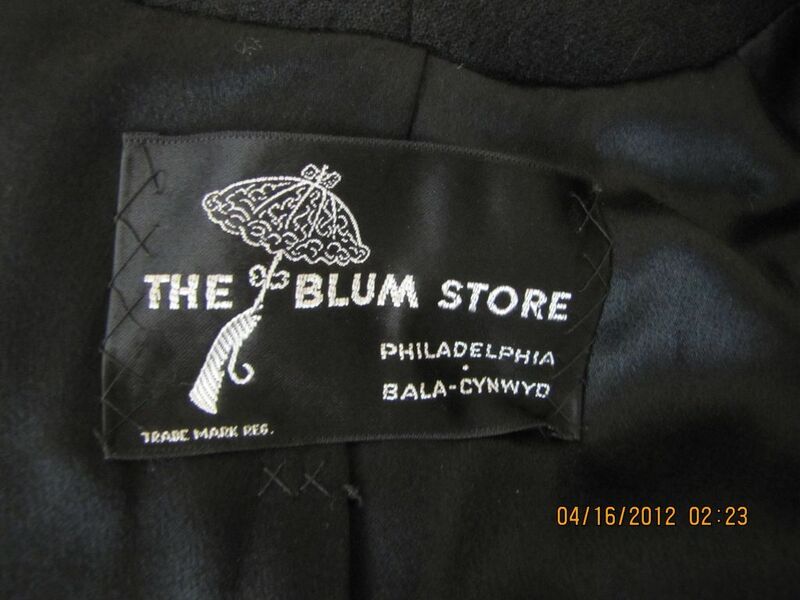 It has the original The Blum Store label sewn inside, carved and cloth covered black buttons, two side pockets and a black silk or satin lining. I believe the style is like a swing coat and it has a good weight to it. 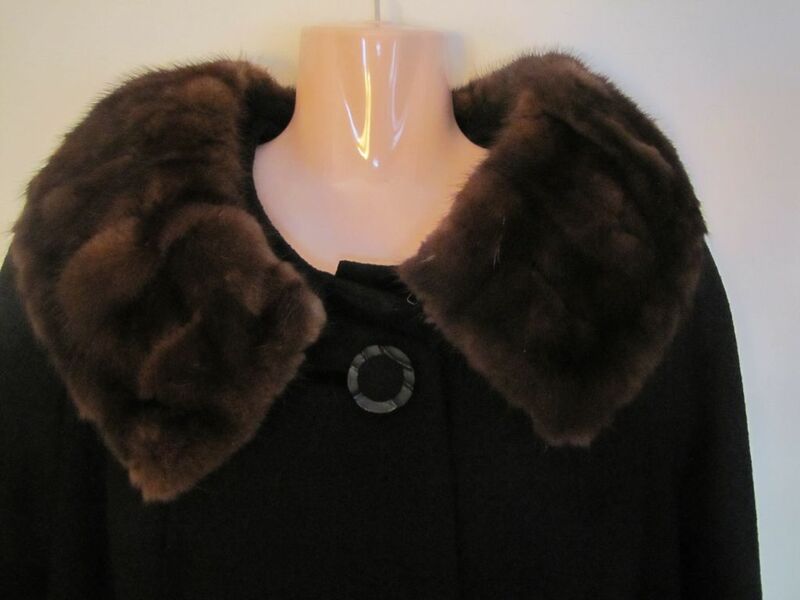 The fur collar can be worn either down or closed and rounded (see photo), with the 2 eye hook closures on the fur. 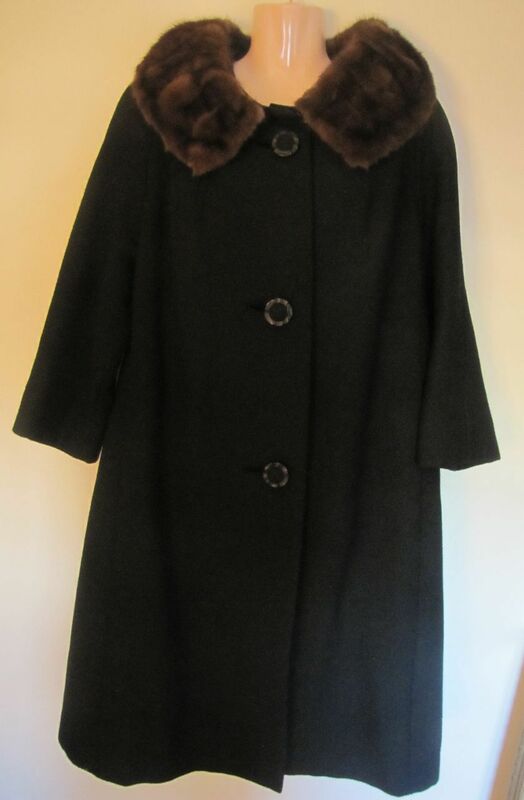 It is in great condition - I can find no holes or stains with this awesome coat, the fur collar is very soft and supple and it has all of the original buttons. 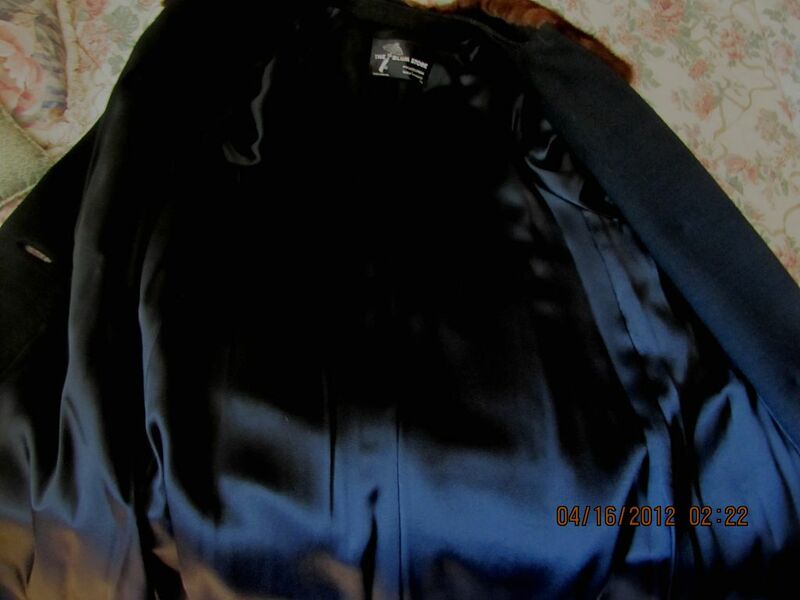 There is no label indicating the size but I think it is a large - the measurements are as follows: Length - top of collar to bottom hem 42" Sleeves - 23" long Bust - 24" across front armpit to armpit - doubled to include the back would be 48" Waist - about 48" due to the cut of the coat being like a swing coat.